Cornerstones of Science provides libraries with a system of services, training and resources that help them sustain high-quality STEM programs and book collections. Resources include: online resources (see below); scientific tools; strategies for science communication; and networking opportunities that allow library partners to interact, learn together and build relationships. Cornerstones of Science is developing a set of training and informational videos that will be available for library partners. Please check here regularly as we post more tools. Below are links to videos of the presentations given at our 2014 Library Partner Summit at the Auburn Public Library in Auburn, ME. These videos also directly accessible from the Cornerstones of Science YouTube Channel. 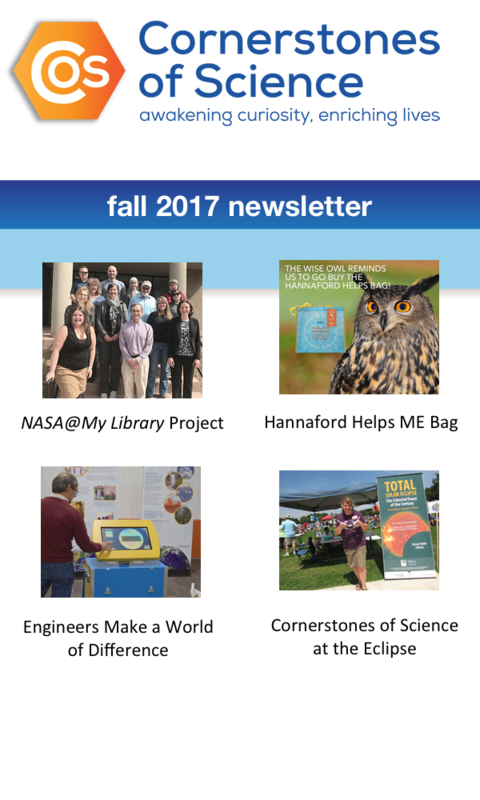 Cornerstones Science Provider Network, Professional Development Workshops & Events, the Annual Library Partner Summit and Library Support.